Everyone in my village makes their own wine. 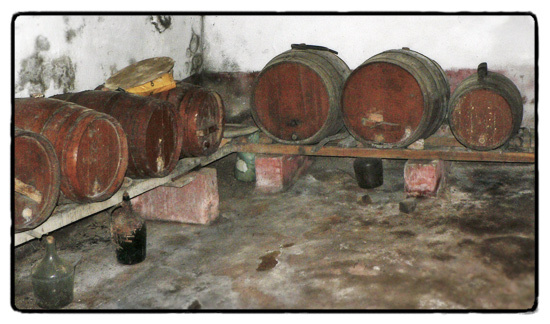 My house has a 500 litre vat downstairs and most of the ground floor space is dedicated to wine making. Most of the old houses around here have an adegga. In the old world economy, if you don’t drink it, you can barter it for something else you need. When I first moved in and I still had my wits, I decided that my time would be best spent building rather than winemaking. I gave away some four oak barrels, about 100 bottles and a bunch of other stuff to make some space for my hardware. Two years on, and somewhat less sane and sensible, I have decided to give this wine caper a go. At the end of the vindima I picked my own grapes. I have two varieties at my place. One is the very typical ‘morangueiro’ also known as ‘vinho americano’ named after the hybrid imported from North America to combat the Phylloxera plague which decimated European vines in the late 19th century. 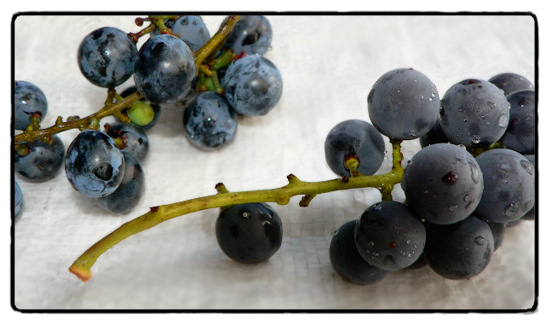 The hybrid grape is known as isabella, whose parents are vitis labrusca (whose strong strawberry, morango, scent lends itself to the Portuguese name) and the native European grape vitis vinifera. Unfortunately it looks like isabella might have been the actual carrier of the nymph-fly Phylloxera to Europe from the Americas in the first place, where the native American grapes were immune. Subsequent to the plague, the vinho americano was employed as a disease resistant and hardy variety to be used as a rootstock. In poor and needy early 20th century Portugal, many farmers preferred to cultivate isabella without grafting or restoring the native varieties. 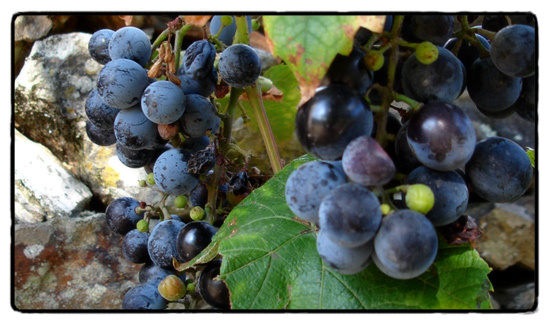 In viticulture, not only was it recognised that the grape produced very poor quality wine but the hybrid grapes were considered an aberration on the European wine industry, and a ban was put on the commercialisation of this variety. Hence, you won’t find morangueiro in a bottle. More recently, morangueiro was a suspected cause of white matter lesions in the brain, i.e. 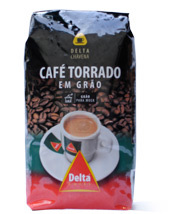 brain damage, but the experts now say that it’s falling on your head after drinking morangueiro that’s the culprit. Still, “it would explain a few things” as my brother-in-law put it. Farmers today continue to grow isabella /morangueiro/vinho americano, especially in the Azores Islands where all European grapes had died. It’s the predominate backyard grape in this region. It’s prolific and hardy and some people have even become fans of the taste. OK, less conversation, more action: I picked my grapes, cleaned them from the stem, gave them a wash and put them in two big buckets. I still own a grape masher, but it’s an enormously weighty contraption and I thought it wouldn’t be worth getting it out for only about 80 litres of grapes. 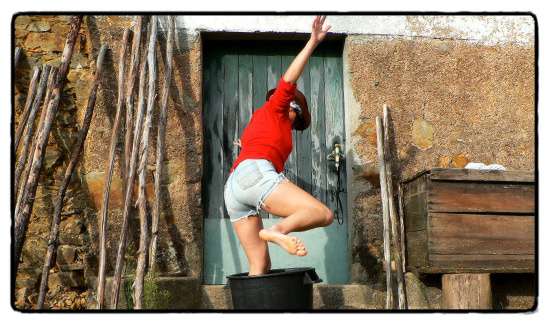 Anyway, as foot mashing is traditional somewhere in Portugal I thought I’d give it a whirl. Set up the camera, washed the feet and jumped in. And immediately fell on my arse, on concrete, causing a bruise as big as a t-bone steak. It’s slippery in a bucket of grapes. DER. That night, hot feet woke me up, but I didn’t think too much of it. The following night, after another round of foot mashing, my burning, itching feet woke me up again. Not just itchy, I mean itchy bitchy itchy. I had to get up and give them a cold bath and then balm them gently with ointment until they calmed down. Obviously that put a stop to any more foot-grape shenanigans. As the week continued my feet just got itchier and so shredded up and gory that I looked like I had leprosy. I complained to the neighbours. They said of course, idiot tourist, you see us foot mashing? No. DER. I continued a once-daily mashing of the pomace with, logically, a potato masher. This process is meant to stimulate the fermenting of the grapes, but already I could see that there wasn’t much happening with the ‘tinta’ batch. No bubbles, not much smell. At this point someone more experienced might have added sugar or yeast to get it moving along, but my neighbours use no additives at all, so why would I? After a week the neighbours told me I had to listen to the wine ingasso (pomace) and if it was quiet, I should drain it off. Indeed, as the wine said nothing, I drained it off, putting one batch in a brand new plastic jerrycan and the other batch into 5L plastic bottles. As I was draining the last of it through a pillowcase, Tia Maria suddenly appeared shaking her head disappointedly. She used some peasant viticulture terms that lay just outside my vocabulary, but I got the gist. It wasn’t looking good. The method I was using was to follow what the neighbours do, but I was also bearing in mind advice from wine forums where the people are (perhaps) more concerned with the flavour of their labour. I should have done precisely what the neighbours do, but the trouble is, the traditional method is only focussed on saving the crop from souring. I was at crossed purposes, hedging my bets between an amish-like purity and the web-wino’s techno-intelligence. At this point nothing was going to save this year’s “vintage”. 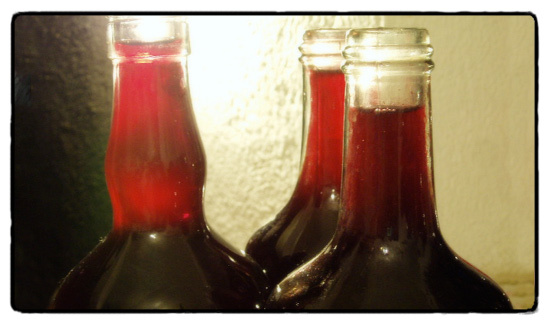 The tinta had never tasted like wine, and was now swinging towards vinegar. The morangueiro at least had some alcoholic quality to it, but I wouldn’t say it was drinkable, exactly. 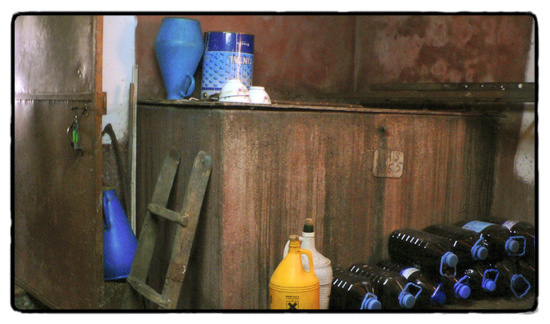 The one saving grace was that I also made 30 litres of agua pé from the must of the morangueiro. 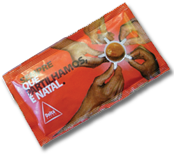 Agua pé is a drink traditionally given to the workers, to children and to the chestnut-eating people on St Martin’s day. It’s water that has been drained through the grape must, with a bucket of sugar added. It is mildly alcoholic, but is basically a nasty cordial… and that’s alright by me. 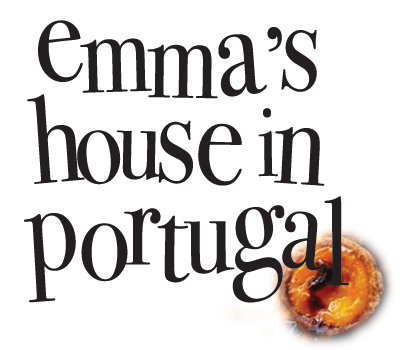 Emma, I must commend you for making vinho the old-fashioned way. 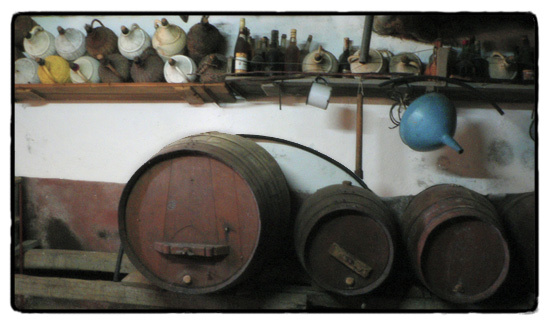 But now that you know why no one makes wine in this way anymore, I’ll be looking forward to reading about the aguadente making…not sure I want to read about the drinking of that stuff though (–shudder). May I suggest using it as fuel for chouriço assado? indeed, ben has also reminded me that I need a choriço hit… have you seen the guest post about it ? Stunning! I am having fits of jelousy. I tried to make wine. My bottles popped. I even tried using balloons. My results came to a yuggy and stinky mess. Those wine barrels look amazing. It must be a great feeling to make your own, we really take it for granted in the city when we buy wine from shops ready to buy and enjoy. I tried making my own ale once, but it didnt’t really work out too well. And what I found by accident, in a friend’s quinta, it you pick up the grapes very late in the Summer, when they are starting to fall and look like there’s molasses on it, they are quite a lot more sugary, and produce a great wine! nice tip edgar.. have to try it next year! The “Americano” wine was, and still is, forbidden to sell. This quality is extremely aromatic, sweet and, specially kids, love to eat them right away from the vine. This kind of grape is, in some circles, considered to be of a lower quality and has characteristics not recommendable for our health.Anyway, it still used for soft drinks and some special occasion. This variety produce a lot more, and faster, than native ones. This is why, in some regions, during last century, people started to switch the native qualities by this one. Portugal state, recognizing the treat of this trend issued an order to prohibit the “Uva Americana”. We got to know vinho americano in northern Portugal while staying repeatedly with Portuguese friends. I enjoyed this wine with its peculiar special taste immensely, drinking it from Portuguese porcellain wine cups. In April of this year 2012 after a long search I found a market garden here in Germany where I was able to buy a few vines of this variety. I’m looking forward to the first bottles of my own next year. What about possible health risks in connection with this grape variety? Will this wine blow the cork sooner or later? What would you advise? Thank you in advance. Certainly a nice arse to fall on, but I digress. Look at my Facebook Page I have an Isabella vine related to the triffids. Omg it is virulent. But it makes the most amazing jam.